After announcing three candidates for the role of Chicago’s top cop this week, Mayor Rahm Emanuel did not offer a timeline for his selection to replace interim Police Superintendent John Escalante. Nonetheless, Emanuel alluded to the pressing nature of the selection process during a press conference at a new food distribution warehouse in Roseland. A total of 38 individuals applied for the job, but only three were chosen: Dr. Cedric Alexander, the current Director of Public Safety in Dekalb County, Georgia; Anne Kirkpatrick, the former Chief of Police in Spokane, Washington; and Eugene Williams, the Chief of Support Services in Chicago, and the only current Chicago officer who made the cut. “This was no ordinary search for a new Police Superintendent because these are not ordinary times,” Police Board President Lori Lightfoot said in a statement, noting, “Chicago is at a critical juncture." Emanuel fired Former Superintendent Garry McCarthy in December of last year. His ousting came in the wake of the controversial shooting of African-American teen Laquan McDonald. McDonald was shot and killed by caucasian Chicago police officer Jason Van Dyke in October of 2014. Van Dyke was charged with McDonald’s murder after a judge forced Emanuel to release police dash-cam footage of the incident. Interim Superintendent John Escalante was not included on the shortlist provided to the mayor. There has been a spike in Chicago homicides in 2016. 128 have been reported this year, according to DNAinfo. 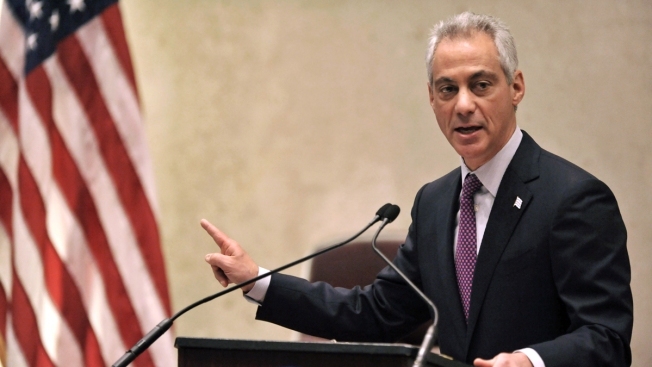 Emanuel said he was anxous to make a selection, but will weigh his options patiently. He can choose his next superintendent from these candidates, or could ask for another list.